I thought I'd try out a message board and see how many of you I can get to know! I think it'll be a lot of fun and hopefully make for some good conversation! I've been told that some AOL users have trouble seeing the Visual Confirmation code when registering. I believe this is due to the AOL browser. I recommend opening Internet Explorer to register. Afterwards, you can access and post to the board through AOL. 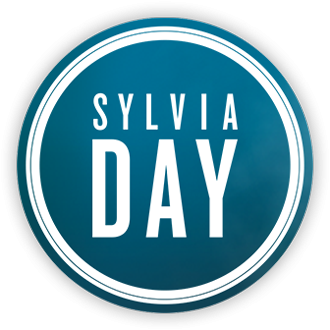 If this sounds like too much trouble just e-mail me at Sylvia@SylviaDay.com and I'll register for you. Thank you for your interest! This is so neat. I used to run amok on message boards for my favorite tv shows and actors, but my stinkin computer is so slow that it took forever to load. But this is quick and easy. And pretty on the eyes as well! Now I want one! Well, maybe not now, but sometime. But Hi Sylvia! Nice new toy you have here. I think it will be perfect for when I want to procrastinate! Not that I do that alot...well, ok. I do procrastinate more than I should. I know! This won't be for procrastination. It'll be for research and advice, since I don't belong to any writer's groups and such. Yup, now I have a valid reason for visiting often! Procrastinate here as much as you like! It'll be nice having you around! Just stopped by your site to browse and wanted to enter the latest contest. I am a reader and many of my favorite authors are the same as yours. I read every chance I get. Welcome to the board, Kim! It's nice to have you posting. I read every chance I get, too, which comes far less often than I'd like. What are you reading now? I'm currently reading Come Summer by Sandra Steffen. It is a contemporary romance. Very good book! When you're done with it, and if you really liked it, maybe you'll share it with us in the "Books We Loved" forum? I prefer to buy books based on reader recommendations, rather than go in blind. I think that's why I like anthologies so much! I get a feel for a new author, before plunging in with a full length novel. Just wandered in and i must say this is a terrific site. I just finished reading Janet Evanovich's TO THE NINES and am now reading Carly Phillips SIMPLY SCANDALOUS. I had 50+ people here on Sunday for a family reunion and I needed some comedy to clear my head!!!! Thank you, Linda! It's nice to have you on the board! Have you seen Carly Phillips new site? It's been up for a couple of months now, I think, but I just love it. The satin background is too cute! This is awesome! I post and the author actually responded!!! Wow! What a neat site! Thank you. I highly recommend Janet Evanovich when you just want some light-hearted reading. She's very funny; uses terrific dialogue and twists some mystery in there too. Yes, I have seen Carly Phillips' site. Good stuff. Thank YOU for caring for your fans. This is awesome! I post and the author actually responded!!! Thank you, Linda, for your sweet comments about the site and myself. I hope you'll become a regular and share with us often! I just received Lord of Scoundrels by Loretta Chase today. I love her wit and I'm certain I'll enjoy every moment of it. I'll be certain to post about it when I'm done. I love great dialogue in a story. Janet Evanovich had now been added to my TBR list! Is there a book in particular of hers that you recommend? Your biography says you worked with the US Army. I'm in three groups that support our troops. Some of those men & women serving overseas are little more than kids. I think your work as a translator had to be very interesting. I feel like a criminal recommending another author!!!! All authors are readers. I am a voracious reader. :study: I devour books, mostly romance!! Very interesting!! I loved it, truly. So much so that I strongly urged my sister to join. She went Air Force and is also a translator, although of Arabic, not Russian. Some of the guys I write to are only 18 or 19 but they are doing the best they can for this country. I'm so proud of them. My room has some weird furnishings like shipping boxes, packaging tape, cases of beef jerky & such but it's for a good cause. Is your sister still in the Air Force? Yes, she is! She's stationed here in California, thank God! CALIFORNIA is a heck of a lot safer than other places right now! Has she been deployed overseas? You must be SO proud of her. I hope you let her know how much she is supported. Some of our wonderful troops feel like we're not always behind them. Have you seen the magnetic SUPPORT OUR TROOPS yellow ribbons for on the cars? They are SO popular her in Ohio. My cousin was visiting from Florida and had never seen them. Has she been deployed overseas? Have you seen the magnetic SUPPORT OUR TROOPS yellow ribbons for on the cars? No, she hasn't yet been deployed. She's been in the service for two years, but both of those years were spent training in Arabic. So, when do we all get to purchase your books? Soon? As her cp I feel I can answer for her. . We're both hopeing you''ll be able to purchase something soon. SHe has a couple of fanatstic novels that are finished, and searching for homes right now. All we need is an editor to spot her talent and take a chance! I'm a HUGE fan of Janet Evanovich and have read ALL of the Stephanie Plum books! I think you summed them up pretty darn good for Sylvia and won't be surprised if she becomes addicted too! Hopefully, it won't be long!! I just found out yesterday that I am a Finalist in the Lori Foster/Brava Novella Contest :! : (In addition to the other mss that I'm impatiently waiting to hear word on from the editors!! :oops: ) You can read my finalist entry here. Just saying "Hi." I'm going to check out the book info. Yep, those yellow ribbons are VERY popular here! That one captured soldier, Matt Maupin, is from this area and his folks asked for people to wear yellow ribbons in support. I think the yellow magnets are VERY popular here because of that. Everyone has been quiet the last few days!!!! What have you been up to? Read any good books lately? Sidonie started a great thread today about historical novels. If you read them, perhaps you'll weigh in your opinion?